Yoga is the 5,000-year-old Indian physical, mental and spiritual practice that aim to transform body and mind. Prime Minister Narendra Modi on Saturday asked the world leaders to adopt an International Yoga Day, saying that by changing lifestyle and creating consciousness, it can help us deal with climate change. 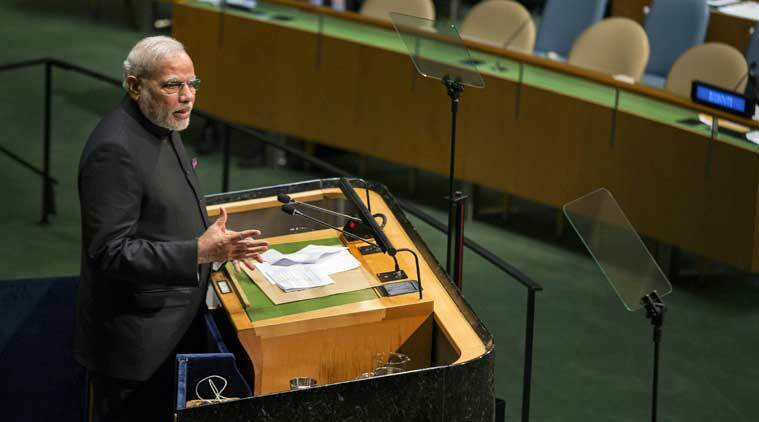 “Let us work towards adopting an International Yoga Day,” Modi said in his maiden address to the 193-member UN General Assembly in United Nations. “Yoga embodies unity of mind and body; thought and action; restraint and fulfillment; harmony between man and nature; a holistic approach to health and well being,” he said. “By changing our lifestyle and creating consciousness, it can help us deal with climate change,” he added.